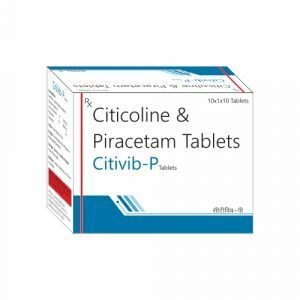 Citicoline has been investigated for the treatment, supportive care, and diagnostic of Mania, Stroke, Hypomania, Cocaine Abuse, and Bipolar Disorder, among others. Piracetam is a nootropic drug in the racetams group, with chemical name 2-oxo-1-pyrrolidine acetamide. It shares the same 2-oxo-pyrrolidone base structure with pyroglutamic acid. Piracetam is a cyclic derivative of GABA. In the United States, it is not approved by the US Food and Drug Administration for any medical use and it is not permitted to be sold as a dietary supplement. In the UK, piracetam is prescribed mainly for myoclonus, but is used off-label for other conditions. Evidence to support its use for many conditions is unclear. For the treatment of myoclonus (brief, involuntary twitching of a muscle or a group of muscles).